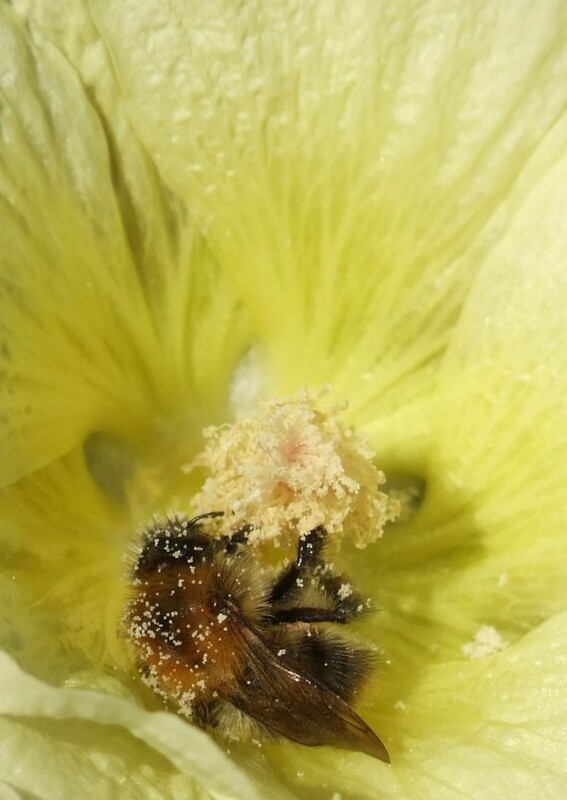 SOUTHERN UTAH – As the weather warms up and bee season approaches, St. George News has compiled some crucial information to help all stay safe and comfortably share the outdoors with these fascinating creatures. Bee season in Southern Utah can begin as early as February and end as late as October, but is generally defined as anytime the temperature is consistently above 50 degrees. Early spring blooms such as dandelions, willow, elm and rosemary provide bees with the protein necessary to begin building their colonies; bees forage for pollen and nectar throughout bee season, which is crucial to ensure they have enough resources to last through the coming winter. In addition to their local activity, many of Southern Utah’s bees are also transported to California in mid-February to pollinate almond trees for several weeks. Approximately 60 percent of the human diet and thousands of crops are pollinated by bees each year, from sunflowers to apricots and pumpkins. Aside from many wild bees, four types of honey bees inhabit Southern Utah: Italian, European, Carniolan and Africanized bees. Bees are very particular about their nesting sites and prefer to nest in dark, protected areas near water. Common homes for bees include trees and shrubs, wood and trash piles, flower pots, chimneys, wall cavities, attics, crawl spaces, eaves and roof overhangs, rock crevices, water meters and sprinkler control boxes. Individuals should make sure that their house and yard provide as few attractive nesting sites as possible and periodically inspect their property for nesting sites. Bees are not typically dangerous creatures and attack only when provoked. “A bee does not bother a person unless the person bothers the bee,” said Mel Taylor, president of the Utah Beekeepers’ Association and a professional migratory beekeeper. He said bees are protective insects, they defen themselves and their homes. 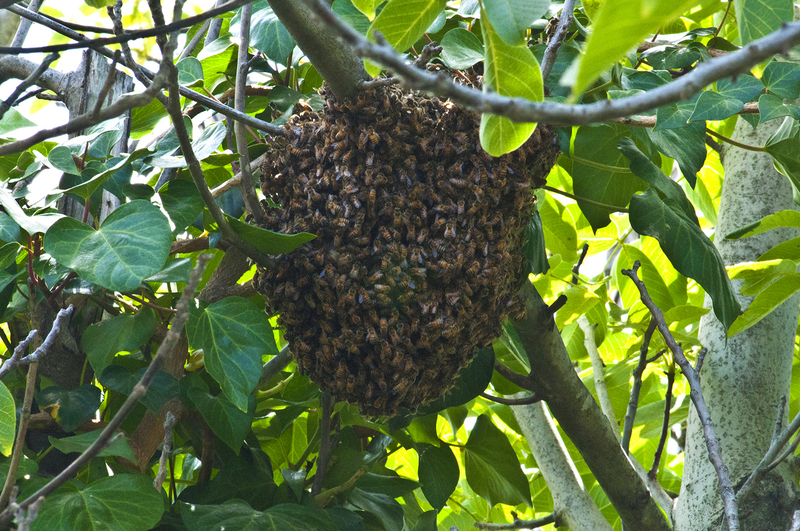 Commonly known as killer bees, Africanized bees are the most aggressive bees. They are more easily agitated, quicker to swarm, attack in greater numbers and pursue their victims farther (up to a quarter of a mile) than other species. 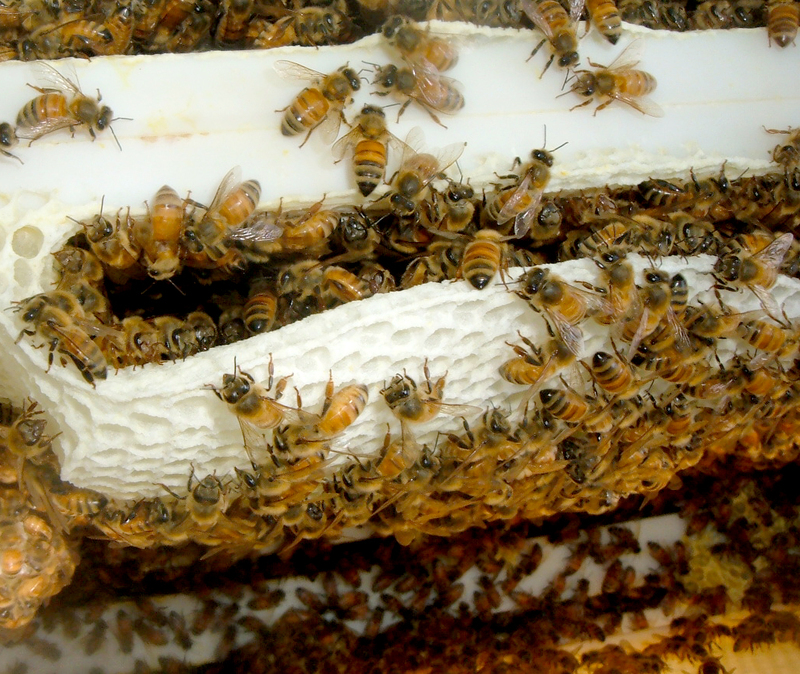 Africanized bees have been found in Washington and Kane counties, but it is difficult even for professionals to determine whether bees are Africanized or not. Because all bees attack, all should be treated with equal caution. For most people, bee stings are painful, itchy minor nuisances that last a day or two. But for the estimated 5 to 10 percent of individuals who suffer from insect sting allergy, a single sting could trigger such symptoms as hives, swelling of the tongue, dizziness, difficulty breathing and even life-threatening anaphylactic shock. Insect sting allergies send more than 500,000 Americans to the hospital and cause over 50 deaths each year. People experiencing any symptoms of an allergic reaction after being stung should seek medical attention immediately. It is recommended that individuals who know they suffer from insect sting allergy carry an emergency ephinephrine kit and take great caution to avoid future stings, as allergy sufferers who have been stung in the past have a 60 percent chance of having a worse reaction if stung again. Bee stings also pose health risks to pets, who frequently put themselves at risk with their outdoor foraging and curious sniffing. Stings can cause greater swelling in animals than humans, especially in sensitive areas such as the nose. If a pet is suffering from diarrhea, fatigue, trembling or difficulty breathing after being stung, it should be taken to a veterinarian immediately. How can I avoid getting stung? Though the random sting of a lone bee is sometimes unavoidable, people can take many simple precautions to avoid a mass attack. Never purposely disturb bees for any reason; you will pay the price. 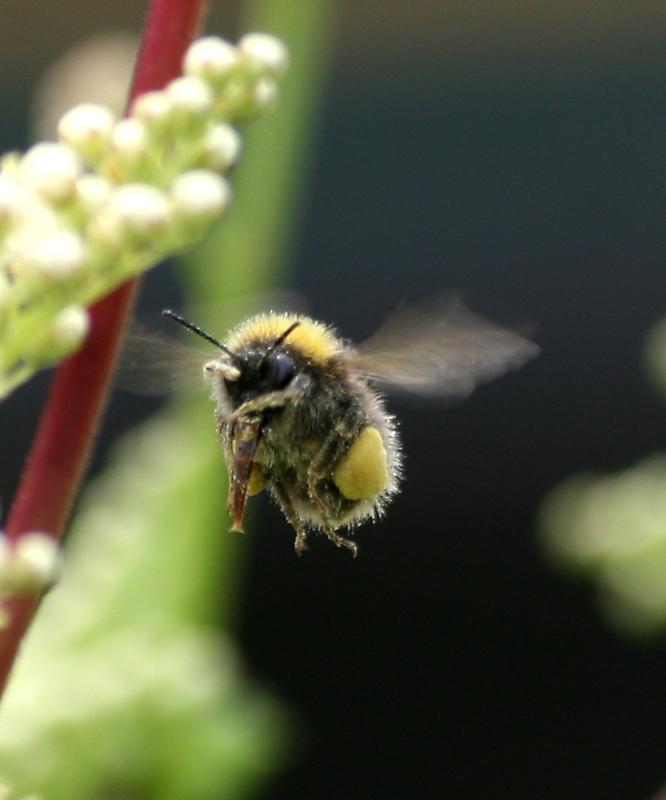 Stay away from common nesting sites and other areas that look like they could harbor bees. While camping or hiking, keep pets away from areas that may harbor bees. Never approach a colony. 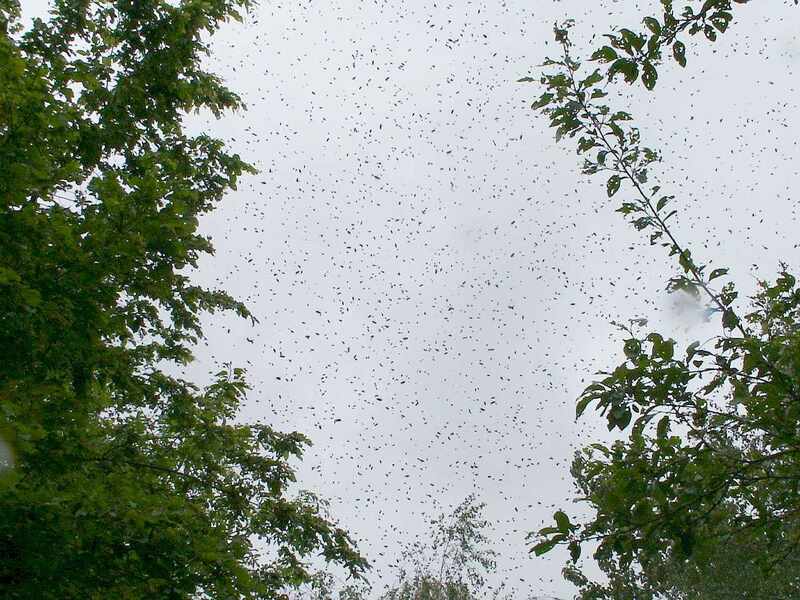 If you see or hear a large number of bees, move away from the area. Never attempt to destroy a colony yourself. 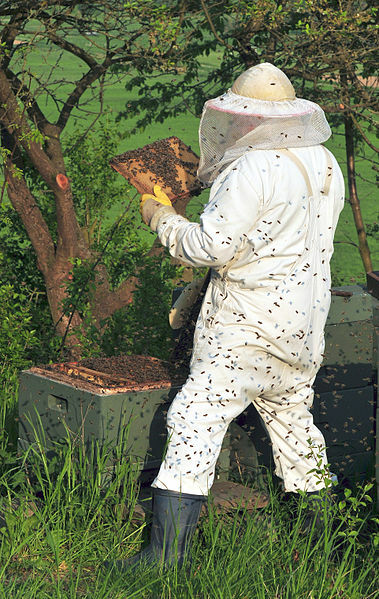 Removal of colonies should be handled by a pest control company or professional beekeeper. Don’t ignore bee colonies in your yard or neighborhood, even if they are small and not causing a problem. Colonies should be removed immediately as a matter of public safety. When in wild areas, don’t wear sweet or floral-smelling perfumes or brightly colored or floral print clothing, as both can attract bees. Don’t eat sugary foods and drinks outdoors. Check your cup, bottle or can before drinking to make sure a bee hasn’t crawled inside. Don’t walk barefoot outdoors. Bees often forage in the grass and will sting if they feel threatened. A popular myth states that jumping into water will discourage bees from attacking. This rarely happens; bees will simply wait for their victim to resurface and continue the fight. The best thing anyone can do when attacked is to run as fast as they can, as far as they can. Try to cover your head, as bees target their victim’s faces. Do not attempt to swat or fight the bees; it will only aggravate them further. Seek shelter in a car or other enclosed place. If you are far from shelter, run through tall brush. It will confuse the bees. If your pet is being attacked, try to get it away from the bees without putting yourself in danger. If you see another person being attacked, tell them to run! Once you are safely away from attacking bees, examine yourself for stings. If you are stung, the best way to remove the stinger is by scraping it out with a credit card or similar object (trying to pull it out will only force more venom into your body) and wash the wound with soap and water. Applying ice, calamine lotion or cortisone cream is useful to reduce the effects of the sting; for pets, the stinger should be removed and ice or baking soda paste applied. Are “we” dangerous to bees? Southern Utah was teeming with bees as recently as two decades ago. But as the area’s population grew and construction boomed, bees have been displaced and killed by pesticides and destruction of habitat. Called colony collapse disorder, this has become a worldwide epidemic. Locally, beekeepers and public safety officials are doing their part to preserve bees. Most hives posing a potential threat to the public are humanely removed rather than destroyed. We noticed tonight that we have tons of bees in our back yard. Normal? You might think. After watching them for a while, we began to notice strange behavior. They were chasing each other around bumping each other off the blossoms very aggressively. I decided to take a closer look and they were not your “average” bee. I should have taken a picture to send in, but these bees were larger than normal, but just under the size of a bumble bee and did not have the stripes and coloring of a normal bee. When I got up close and personal with them, they started flying at my face. My husband was weeding and one flew at him and hit him directly in the face. They did not sting us, just flew right at us. Can anyone tell me what type of bees these are and should I be worried about their aggressiveness? 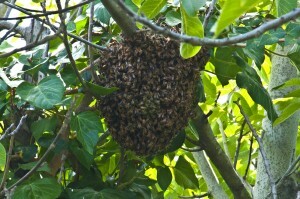 I am hoping they are not the African Killer Bees! I have forwarded your question to our source authority on bees. Stand by, we’re trying to get you some helpful answers. Would you be willing to send us a photo?